Before I start my post, I just want to ask you guys that if you all still greet your neighbours when you see them? For me I definitely do! I've been greeting all my neighbours since young, and partly because I think our mum taught us well and always told us that we should greet our neighbours when we see them. Although, some of my neighbours had already moved out over the years but even when there are new neighbours moving to our floor or even the level below us (we stayed on 12th storey and we are also close to all our neighbours staying on the 11th storey), we still greet them too! I'm not sure about you guys but to me, they are the people who live closest to us. They are the people whom we can count on, especially when we are not around at home. And so I don't see why we should not be friendly to each other. For example, my neighbour will always help us to collect our parcel when the delivery man came but we are not at home. Or whenever I forget my keys and no one is at home (omg I dread this situation so much), they will always offer me to go to over to their place first while I wait for my family to be back. Small little actions like these can be really heart warming and helpful (especially when you're stuck outside your house and you need to use the toilet - which always happens to me :/). But honestly, as the society advances, the time that we actually get to be in touch with people decreases. We are all now busy with work/school etc. And even if we are not, you can see that everyone are obsessed with their mobile phones instead of wanting to interact with people physically. My mum always told me that during their younger days, when they still lived in kampong, they were really close to all their neighbours and the bond is so strong that even until now when they bump into each other, they behave like old friends catching up with all the fond memories that they used to share together. I actually have a lot of fond memories too!!! As I was raised up here since young, so I know all the neighbours around me very well. When I was young, me and my brother would always play with my neighbours (kids) and we will go over to each others house to play games or watch cartoon! 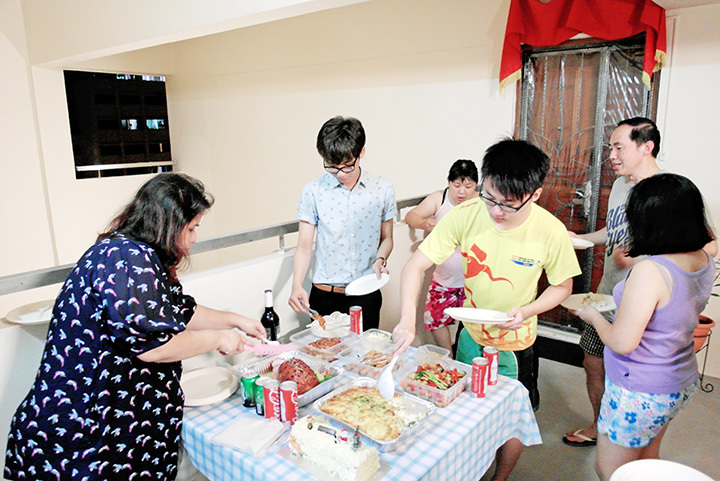 The families will also invite us to their place for meals too, same goes to us! I still remember clearly all the times I spent playing games with my neighbours and the fun we had! So nostalgic! 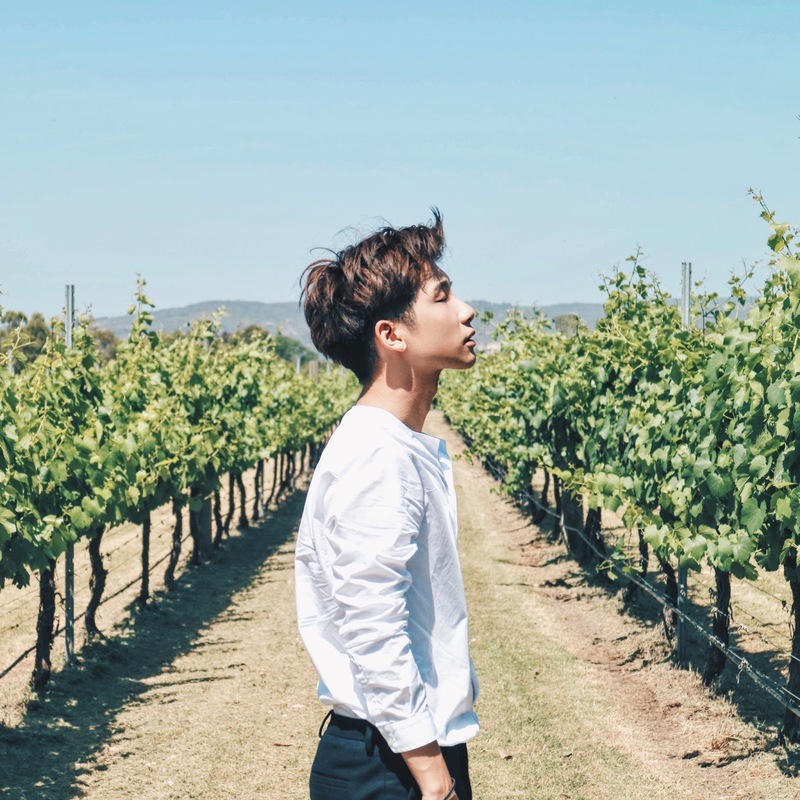 I always feel that in this current society, we are all usually very shy to make the first move and that's probably one of the reason why such gatherings and activities with our neighbours are slowly obsoleting. And furthermore, most of us are more keen to interact with our smartphones or laptops instead of human beings, which is kinda bad. 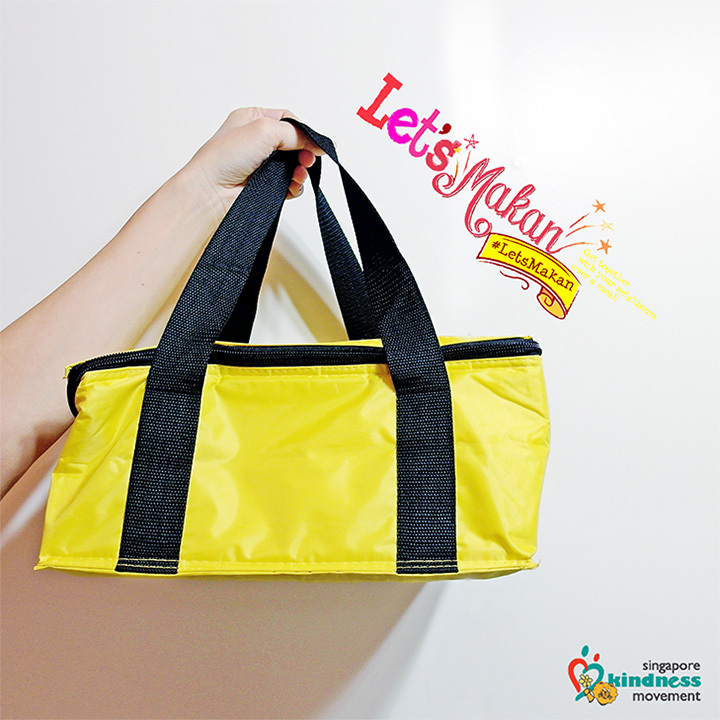 So when I heard of that Singapore Kindness Movement actually came out with 'Let’s Makan' initiative, I was really happy and excited! Let's Makan actually to allow us to rekindle the kampung spirit over Singapore’s most popular pastime – eating! 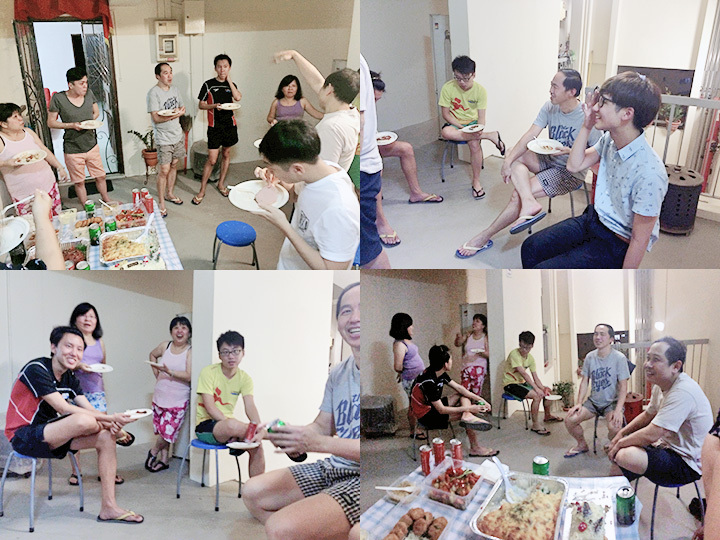 A gathering of our neighbours from different walks of life, sharing a meal together and fostering closer relationships! 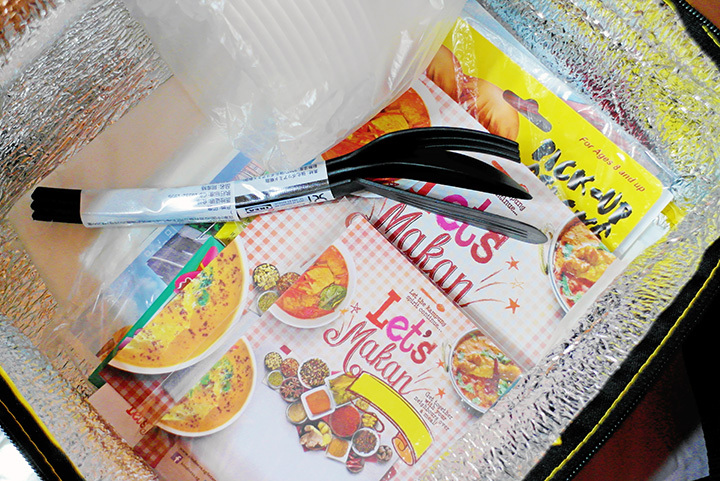 And above is the Let's Makan starter kit that they sent over to me to help me plan my very own, Let's Makan session! A Let's Makan session could be a small and cosy gathering or potluck session among a few neighbours... as long as everyone makan together! I feel that it's really a good idea for people like us who are so busy and didn't have the time to think of this. Let's see what's inside the starter kit! Some cooking materials, plastic bowls, old school games (ahhh.. I missed playing them), trash bags etc. 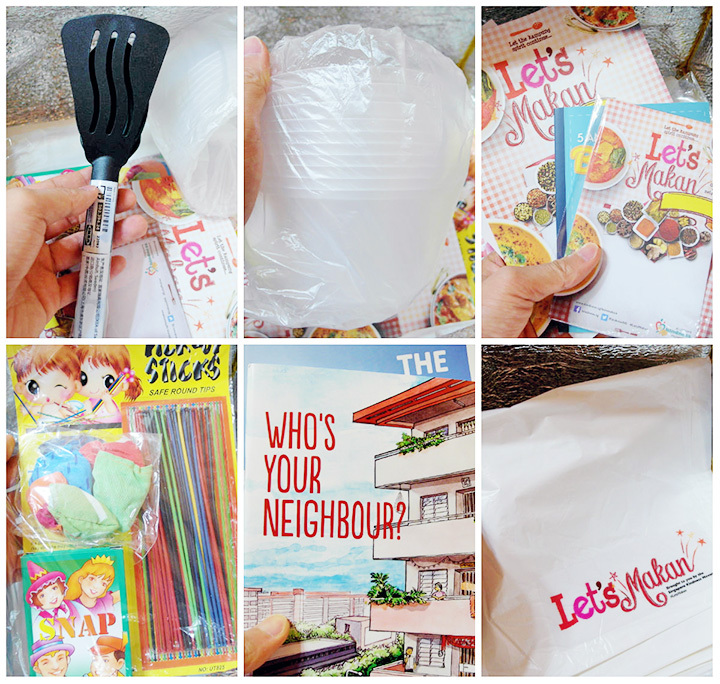 You can also request for the starter kit here too if you are planning a Let's Makan session with your neighbours! To be honest, planning a Let's Makan session is not as easy as I thought because everyone is so busy nowadays and not many of them will come home early and it's hard to coordinate the timing and dates as well. 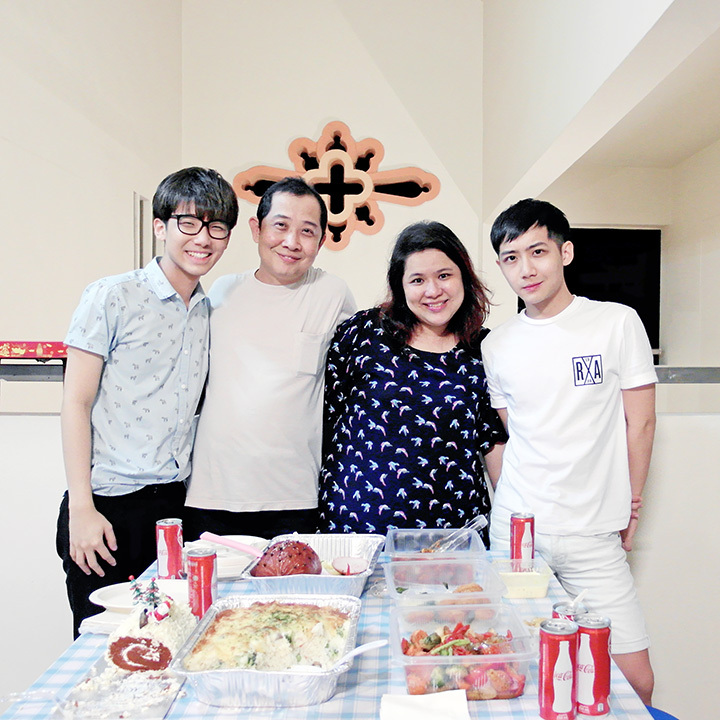 But with the help of my parents and since all our neighbours are pretty close to begin with, managed to gather most of them for our very own Let's Makan session! Since Christmas is also coming and we thought that it would be a good time for such a gathering too! 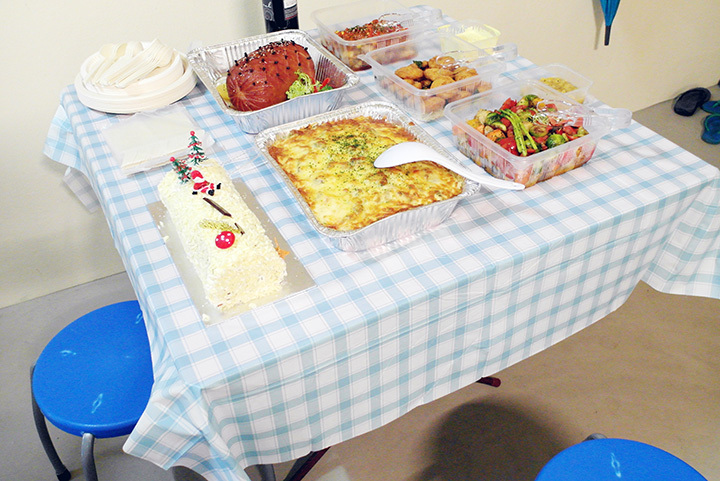 So we prepared the food (actually is from catering but we prepared and arrange it okay ahaha) and set up the table outside our house! 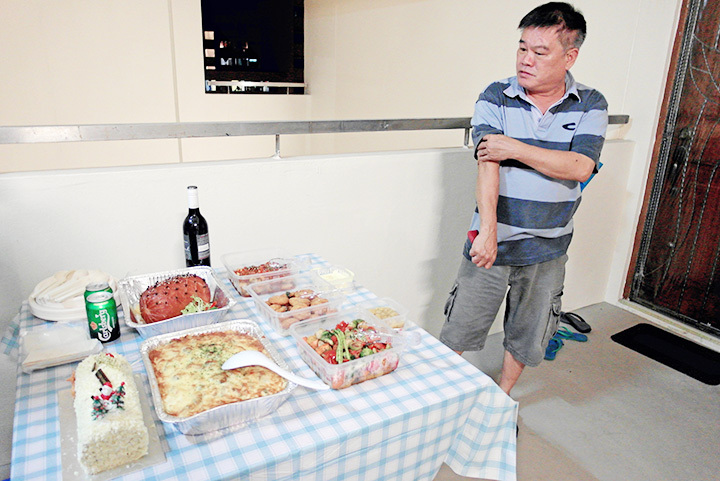 One of our neighbour came over early to check out the food first hahaha! 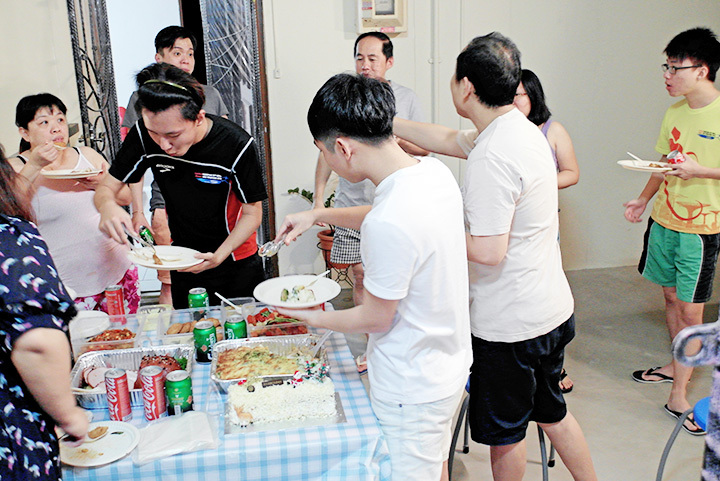 Then slowly our neighbours all came over for our first ever Let's Makan session!! And since it's dinner time, all of us were hungry and started "attacking" the food first. Because you will never know if they suddenly couldn't make it due to last minute stuff yay! Everyone was having their food while busy catching up with each other! Which we usually didn't have much chance to do so! Usually if we managed to catch up with each other is when we wait for our lift and inside the lift hahaha! 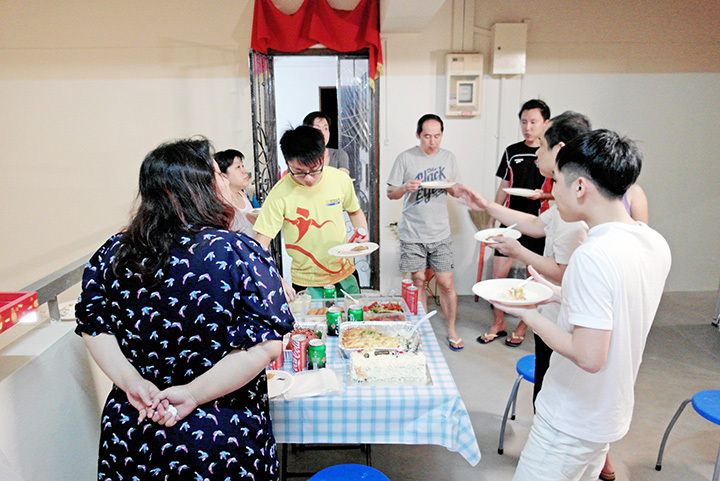 This gathering turns out to be so meaningful and heart warming! Can you believe that we actually gathered and talked for more than 3 hours???!! Even when we have work or school the next day! But the conversation couldn't stop coming between all of us! We laughed so much and had so much fun time listening to each other's stories and how they have been up to! 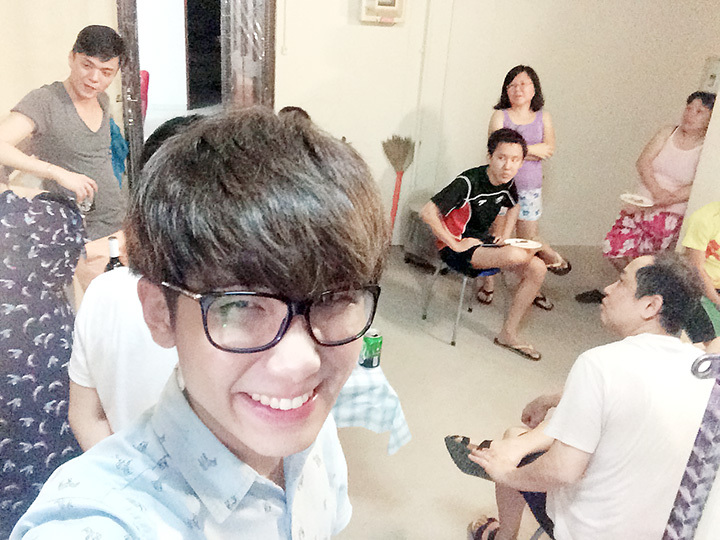 A 'wefie' (well sort of) with my neighbours since all of them are really shy to take pictures together! I urge you guys to try it out too and start your very own “Let’s Makan” session and bring back the kampong spirit! By doing so, you can also get to win quarterly mystery gift and our grand prize from Neo Garden Catering! Ending off with a photo of my dearest family! Without them I don't think that this Let's Makan session would have be possible! Oh! And apart from the contest details, you should also go to Kindness.sg/letsmakan for recipes and more! Have fun! The food looks good and your whole family looks good! 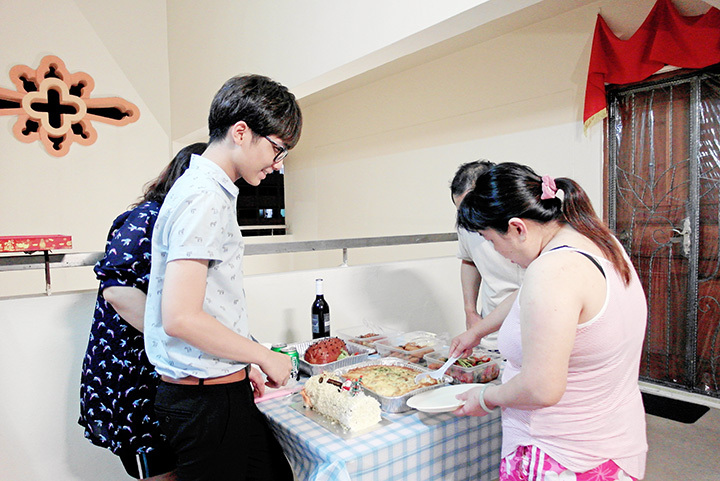 Wish I was your neighbour so I can try out those delicious food too haha!